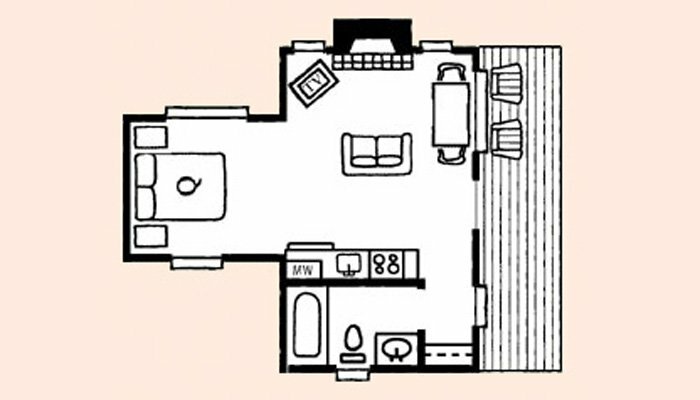 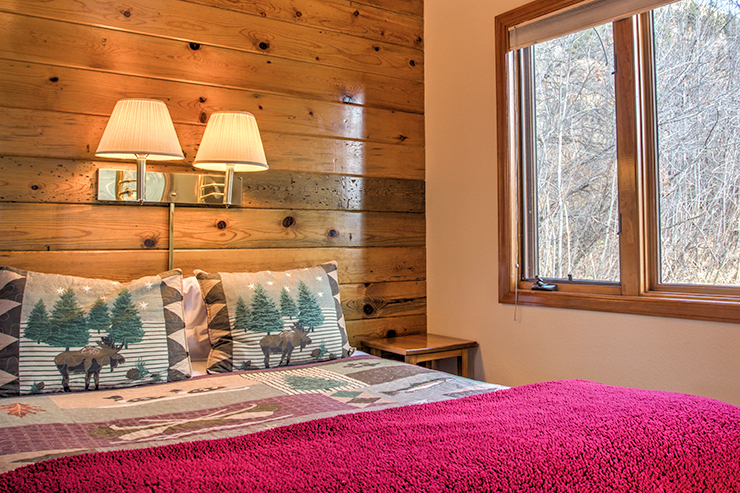 To view availability calendar for our Heather Cottage, click here. 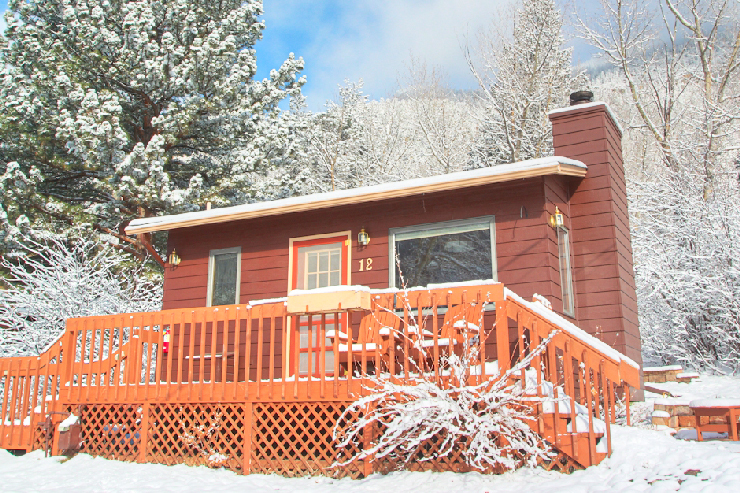 This is a cozy cabin with a deck that overlooks our Aspen Glenn Courtyard. 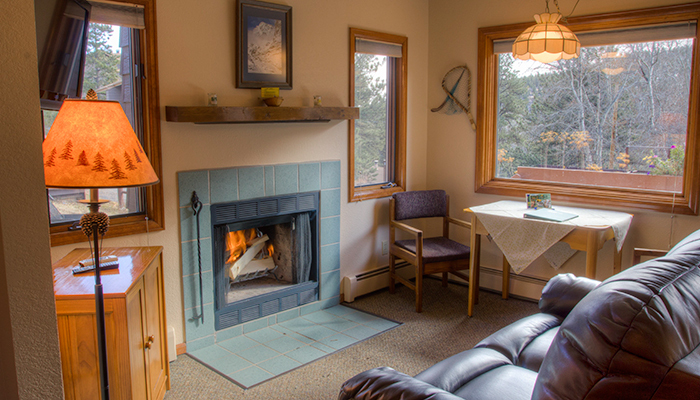 Enjoy the mountain breezes while watching birds from the comforts of your dining room table. 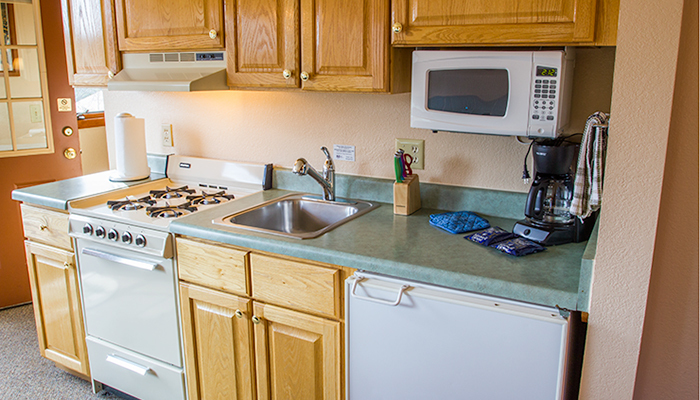 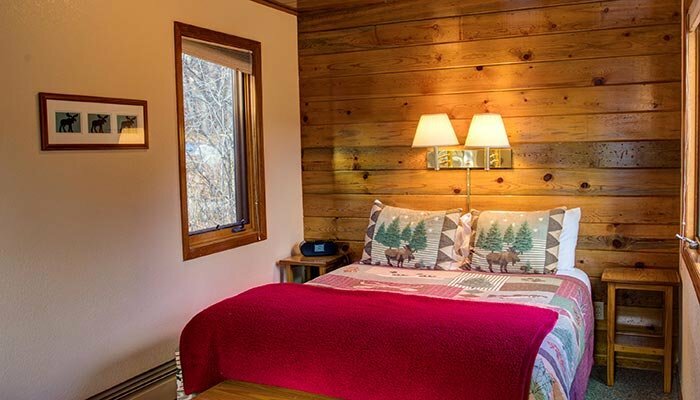 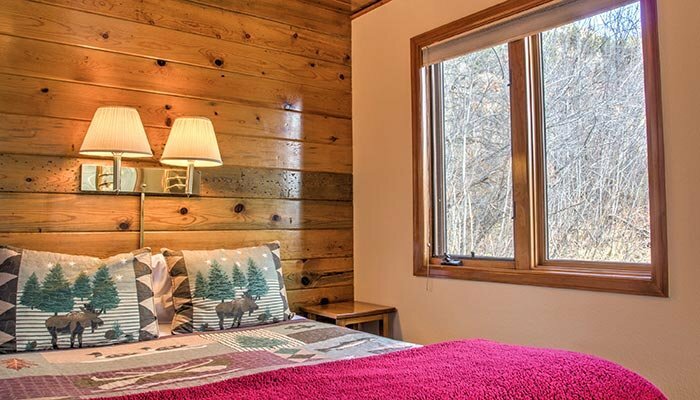 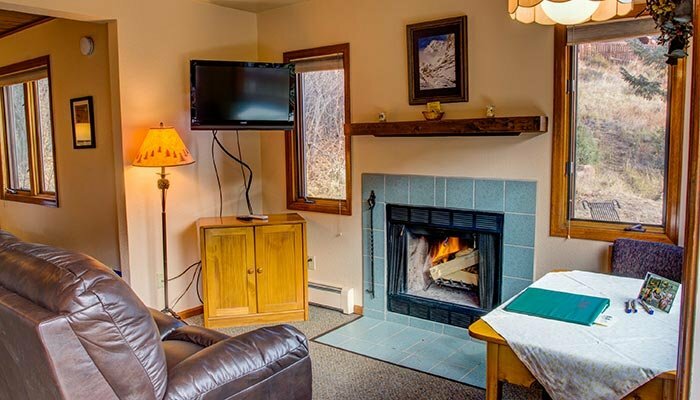 The wood-burning fireplace, fully-equipped kitchen with microwave, jetted bathtub in the bath and easy access to our spa make this cabin a favorite with honeymooners and couples.